Tom Cooke was always looking over his shoulder. 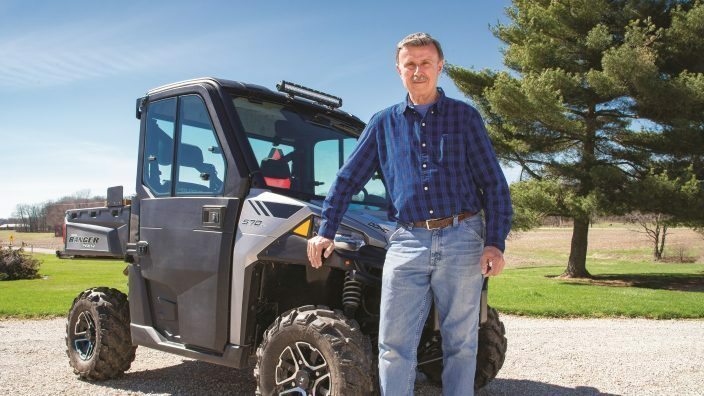 The Richland County Farm Bureau member lives by a highway and was unclear on whether or not he could drive his utility vehicle on the roadway in the course of his usual farm work. “Many of our members have farms that are separated by roads like these, making it illegal for them to use their utility vehicles for farm work,” said Tony Seegers, OFBF director of state policy. That all changed when OFBF was successful in having two amendments included in the state’s overall transportation budget. Gov. John Kasich signed the transportation budget into law at the end of March. 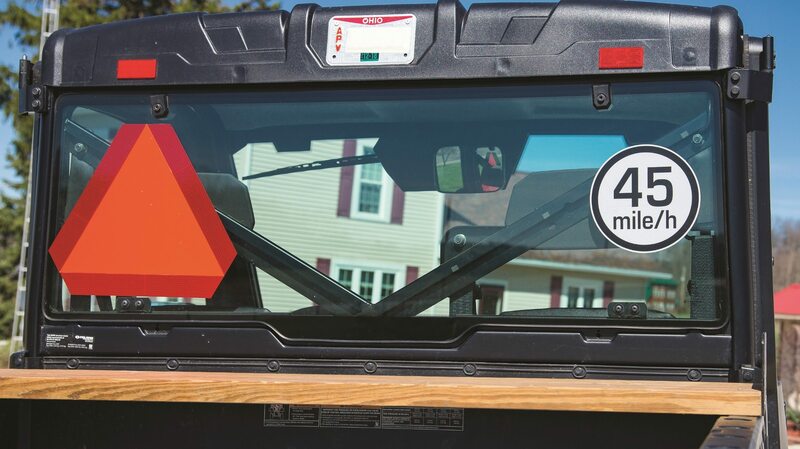 The first amendment allows farm utility vehicles that display a slow moving vehicle emblem to travel on a road with a speed limit above 35 mph if going from farm to field in the course of agricultural production. Freeways are excluded. That is exactly the clarification Cooke was seeking when he contacted Leah Curtis, OFBF policy counsel. While it takes time to get changes implemented at the state level, Cooke said the end result is worth the wait. It didn’t come a moment too soon, either. Ohio Farm Bureau was also successful in getting another amendment added to the state’s transportation budget aimed at helping farmers and rural residents. That amendment requires notification of proposals to create “limited access” highways so farmers are aware of changes and have time to plan alternate routes. The Ohio Department of Transportation is now required to publish a notice in the local newspaper once a week for two weeks, notify the state’s farm organizations electronically four weeks before the change and take comments from the public on any proposed changes. “Our members have found that one day they are using a road to get to their fields and the next day they see a limited access sign prohibiting farm machinery. These notifications will be helpful for rural residents who are driving farm vehicles that can’t go down limited access highways,” Seegers said. Cooke believes the changes couldn’t have been made without the help of Ohio Farm Bureau. Since 2009 all-purpose vehicles have been required to display a license plate and registration sticker. “All purpose vehicles that are used on the farm, primarily for agricultural purposes are exempt from this license requirement when the owner qualifies for CAUV.” However, the license plate is required if the vehicle is used on public land, trails or right-of-ways. Even following those requirements, Tom Cooke wasn’t sure he was allowed to drive on the highway outside his home until this year. The transportation amendments recently included in the state’s transportation budget do require an SMV sign be displayed on the vehicle.